Looking for the Perfect Cloth Diaper Detergent? Selecting the right cloth diaper detergent can go a long way to making your cloth diapering experience a piece of cake. So, if there's anywhere you should spend some time doing research, it's in the area of detergents, washing routines, and hard water. Don't listen to just any old advice, but spend some time to understand how detergents work, and why washing routines can be anything but routine! Our goal with this article is to provide you with more information about cloth diaper detergents, as well as links to some more detailed articles you can refer to for more information if you want a deeper understanding.Washing cloth diapers can seem daunting because there is a ton of conflicting information out there on the internet about the best way to wash cloth diapers, and more cloth diaper detergent brands than you can imagine! Cloth diapers are designed to absorb urine. It's important that they are clean, because residues from detergent or other laundry products can reduce absorbency or even cause diapers to repel, and urine residues will cause stinky diapers! Clean diapers should not smell. If your diapers are not absorbing or have a smell that will knock you over, this is an indicator that you need to adjust your wash routine. 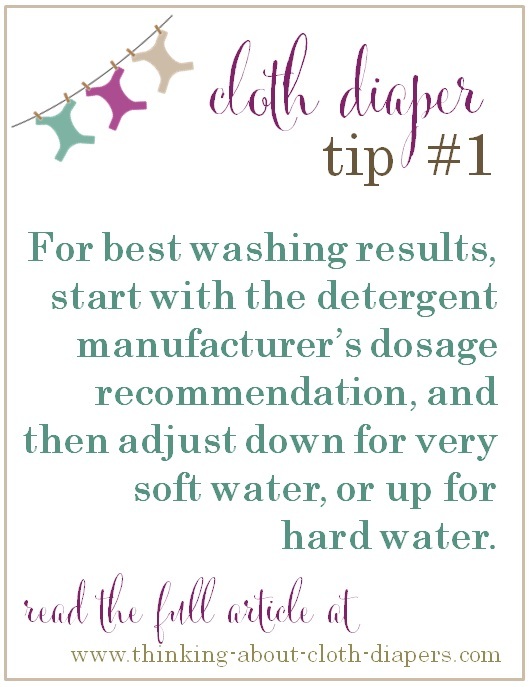 If you have a good wash routine, you should never need to strip your cloth diapers. When selecting a cloth diaper detergent, you should always choose one that is free of Fabric softeners. That's really the only rule. If you have a detergent that works well on your clothing it will likely also work well on your cloth diapers. You should also avoid soap-based detergents. Soaps are created from natural ingredients that can react with the minerals that are found in your water and cause films or residues to occur in your fabric. You can read more about the reaction between soaps and hard water here. What are the Best Cloth Diaper Detergents? There is no single perfect cloth diaper detergent that will work for everyone. The type of water you are using to wash your diapers: The hardness of your water will also have a major impact on the detergent that will work for you. Hard water reduces the effectiveness of your detergent, making it harder for your diapers to get clean. If you have hard water, read this. 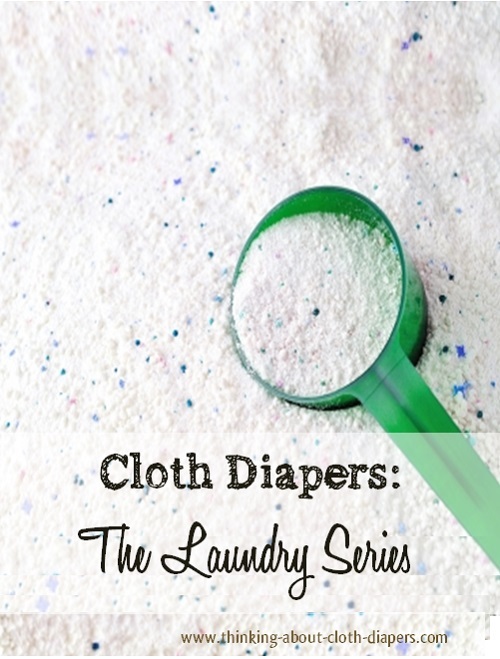 After a lot of research into detergents, water softening additives, and dosages, we suggest that you take the time to read our full our article on hard water and cloth diapers to find a cloth diaper wash routine and detergent that works. Why are there So Many Detergent Choices? Shopping for detergents can be a frustrating experience at the best of times! But it can be even worse when you're shopping for cloth diaper detergent! The style of diapers you use. Flat cloth diapers will be the easiest to clean, while all-in-ones will be harder to rinse free. The type of fabric you use. Cotton will usually rinse clean easier than microfiber or fleeces. Not all detergents will work for all cloth diapers, so you may need to experiment to find one that works for you. Please keep in mind that using the right amount of detergent is important to avoid issues later on! You may have heard that you should use only a minuscule amount of detergent to wash cloth diapers. 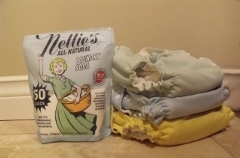 According to Wazoodle, a large US-based manufacturer of cloth diaper textiles, "The practice of low detergent dosing is something that has been created in the [cloth diaper] industry by people who don't understand how water, detergent and textiles interact in the wash. There is no good reason for low doses; it is simply a wrong practice." For best results, you should start with the detergent manufacturer's dosage recommendation, and then adjust down for very soft water or up for hard water. NOTE: If you choose to use a supermarket brand of detergent, keep in mind that most supermarket detergent manufacturers have moved to 2x and 3x concentrated formulas, which mean that the amount of detergent required has been reduced. Make sure to look at the dose recommendation on the package and fill your scoop or cup to the appropriate line! If you don't use enough detergent, you will end up with urine residues - this causes stinky diapers. Too much detergent will lead to detergent residues, which can reduce absorbency and cause the diapers to stink. If either happens you will need to remove this build-up to get your diapers back to normal. Read more about this process in our article on stripping cloth diapers. 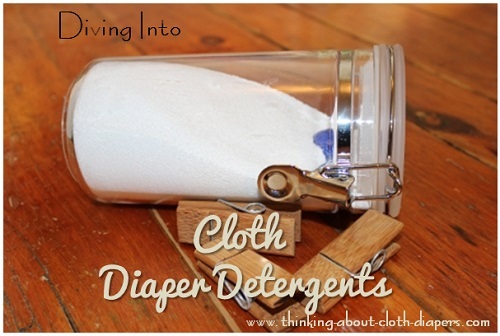 Where Can I Buy Cloth Diaper Detergents? While it can be hard to find a great cloth diaper detergent in your supermarket, the brands identified above are carried by many online cloth diaper retailers. Some of the brands are also available from Amazon and Costco. 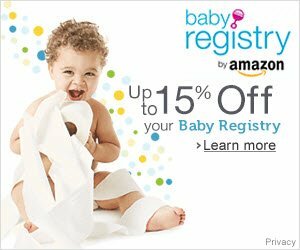 If you have a local specialty baby store, you'll probably find that they will carry one or more brands of cloth diaper detergent as well. 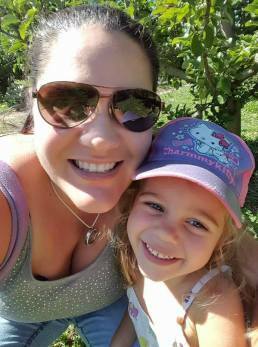 Local stores are a great place to buy cloth diaper detergents, because they have usually been tested by other local families who have similar water conditions to you. If it works for them, it will likely work for you too! Can I Use Bleach on Cloth Diapers? Bleach is used to kill bacteria and viruses, but isn't necessary for most cloth diaper routines. Cloth diapers usually need only be rinsed clean with detergent, not deeply sanitized with bleach. However, if your baby has had a virus or bacterial infection, it's always best to consult with your pediatrician to find out if your cloth diapers will need further disinfection. Keep in mind that many cloth diaper manufacturer warranties are void if you use bleach products, since they have been known to damage the fabrics (especially PUL, which can delaminate). Even if manufacturers do approve of chlorine bleach, it is generally only needed as a remedial step for diapers that need to be disinfected, and not part of a regular washing routine. Oxygen bleach, which has a very different chemical make-up from chlorine bleach, is safe for fabric, and isn't harmful to the environment. Some manufacturers and parents swear by an occasional wash with oxygen bleach (such as Oxi-Clean) to keep their diapers looking brand new. Choosing the right cloth diaper detergent for you does take a bit of homework. Take the time to understand how detergents work and how to get the right dose. I hope that the information in this article will help you select a detergent and dose that will work for you, so you can avoid the infamous stinky, smelly diaper problems! For questions or comments on cloth diaper detergents, head over to our Facebook page and leave us a note!